Writing for PinkNews.co.uk on International Day Against Homophobia and Transphobia, Sir David Bell reminds us about the legacy of Lord Wolfenden who helped decriminalise homosexuality in Britain. Since starting as Vice-Chancellor at the University of Reading last year, I have taken a particular interest in those who have gone before me. They include one of England’s most prominent Anglo-Saxon scholars, two distinguished mathematicians and one vice-chancellor who spent almost 30 years in charge. 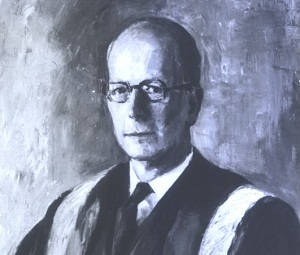 Few though have fascinated me more than Sir John – later Lord – Wolfenden, Reading’s Vice-Chancellor between 1950 and 1964. In addition to his university responsibilities, Wolfenden gained celebrity, as well as notoriety, as the man responsible for laying the ground for more liberal attitudes to sexuality in Britain. In 1954, Wolfenden was asked to chair a Home Office committee to look at two issues; homosexuality and prostitution. Why he was chosen and agreed to chair the committee, Wolfenden himself professed not to understand. Subsequent reports have suggested that his son was gay and that may have been a factor. Perhaps there was something of a liberal tradition at Reading that made Wolfenden a compelling choice. The first female professor appointed in England was at Reading. Edith Morley, former suffragette and expert in English language and literature, encouraged Wilfred Owen to study poetry. In the early twentieth century, female students were admitted to Reading and women teachers employed at a time when most universities refused women to take degrees. Reading had also been the first university in the country to have a separate hall of residence for women students. Publicly, Wolfenden claimed that his university role lent a degree of objectivity to the committee’s discussions. In his memoirs, published in 1976, he stated that the vast majority of the population in the 1950s simply did not know that homosexuality existed, and that many others found the idea to be shocking and distasteful. And perhaps the Home Office itself wasn’t immune from such sentiment. At the Committee’s first meeting in 1954, Wolfenden was greeted by the doorkeeper with the words, “Vice, sir? Room 101”. Wolfenden was given the task of considering the laws and practices relating to homosexuality and the treatment of persons convicted for sexual “offences” by the courts. “We were not concerned with homosexuality as a state or condition”, Wolfenden noted, “except in so far as that was relevant to the treatment of those who had already been convicted by the courts”. After receiving evidence in a further 61 meetings spanning three years, the most radical recommendation of the committee’s report proposed “quite simply, that homosexual behaviour between consenting adults in private be no longer a criminal offence”. The report argued that private morality was a private affair and that it did not, therefore, concern the criminal legal system. Wolfenden was quite unprepared for the storm that was to follow. While the Telegraph commented that “the Committee’s findings, though necessarily controversial, are clear, conscientious and courageous”, less-tolerant views were widespread, with the Daily Mail objecting to “proposals to legalise degradation in our midst”. The committee’s report sold 15,000 copies in the first three months. Not surprisingly, with such a hot political potato on its hands, the Government was not in a hurry to do anything with the report’s recommendations on homosexuality, although it moved more rapidly in toughening up the law around prostitution. Interestingly, Wolfenden was not unsympathetic to that approach. He had been warned that it might take years for his proposed changes to the law on homosexuality to take effect. He was of the view that any immediate legislation would be out of touch with public opinion. Looking back, Wolfenden’s legacy is of huge importance. My colleague, Dr Andrew Mangham from Reading’s Department of English Literature, shared with me the following story about the last men to be hanged in Britain for buggery. In 1835, Charles Dickens visited Newgate prison and encountered two prisoners, James Pratt and John Smith. He wrote about them in his 1836 article, A Visit to Newgate. The nature of their offences, he writes, “rendered it necessary to separate them” and the prison guard remarked to Dickens, “their doom was sealed; no plea could be urged in extenuation of their crime, and they well knew that for them there was no hope in this world. ‘The two short ones’, the turnkey whispered, ’were dead men’”. What Pratt and Smith had done, they had done in private, yet they were reported to the authorities by a neighbour. The Wolfenden report created the conditions that meant, in time, a latter-day Pratt and Smith would not even have been arrested. Wolfenden’s report took 10 years to become law. But when the 1967 Sexual Offences Act reached the Statute Book, it finally gave legal form to the committee’s recommendations. As a result, homosexuality was accepted (although not initially celebrated) and for the first time, given license to exist un-persecuted in Britain. The University of Reading, like others across the UK, continues in Wolfenden’s tradition by seeking to promote diversity and tolerance. It is not always easy or straightforward and testing situations arise from time to time. But our instincts are unambiguous and crystal clear as, once again, we will raise the rainbow flag on campus to mark this year’s International Day against Homophobia. It would be a caricature to see John Wolfenden as some ahead-of-his-time visionary or free thinker. Indeed in many ways, he was a rather old-fashioned and traditional man (he had, after all, been the headmaster of two public schools). But crucially, he was in that great English liberal tradition and was a man who believed in tolerance, freedom and – yes – fair play. Wolfenden was far-sighted enough to trust that public opinion would, in time, move with the committee’s recommendations. Perhaps today, he would be less patient and demand that our politicians now caught up with public opinion on the issue of gay marriage and gave it their wholehearted backing. And when they do – as they surely will – then John Wolfenden should again be feted as one of homosexual equality’s most unlikely heroes. This entry was posted in Department of English Literature news and events and tagged Department of English, Department of English Literature, Dr Andrew Mangham, English Department, English Literature, International Day against Homophobia and Transphobia, Lord Wolfenden, Pink News, Reading, Sir David Bell, University of Reading. Bookmark the permalink.